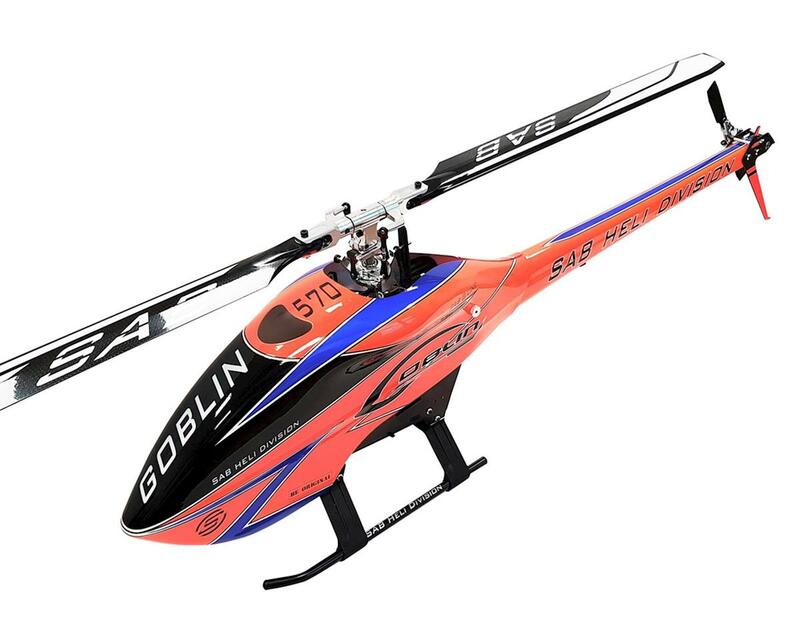 This is the SAB Goblin 570 Sport Edition Flybarless Electric Helicopter Kit with a orange and blue canopy. Utilizing the HPS (High Precision Head System) Flybarless Head, a strong main gear, Gates GT3 belts and a 10mm one way bearing, the Goblin 570 delivers precision control and reliable power delivery from either a 6S or 12S power system. The kit includes blades, a battery strap and a 21 tooth motor pulley, so just add your electronics and get ready for a completely unique Goblin experience.